I’ve had a few people recently ask if I have any of my DJ Dave McCann DJ mixes on line. These are mp3s of decoded_ shows 01-49. These are the master mixes/recordings, pre voice-overs and station IDs, all music. There are full track-listings there too. 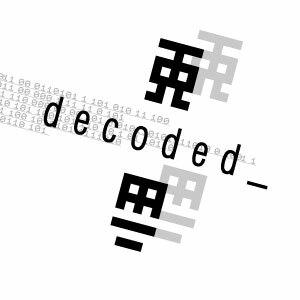 decoded_ was the name of my Internet radio show I did with Pulseradio from July 2005 until February 2007, it was focused on more minimal, tech-house sounds. TechFunked was the name of the show between May 2000 and July 2005, mixing up tribal, funky, percussive, melodic techno sounds, harder, faster stuff.